Explore the Fun and Festivities of Downtown Mountain View! Now that it’s the summer, people are looking for places to go and things to do. Well, if you want to go outdoors and spend time with friends and family, then look no further than downtown Mountain View. 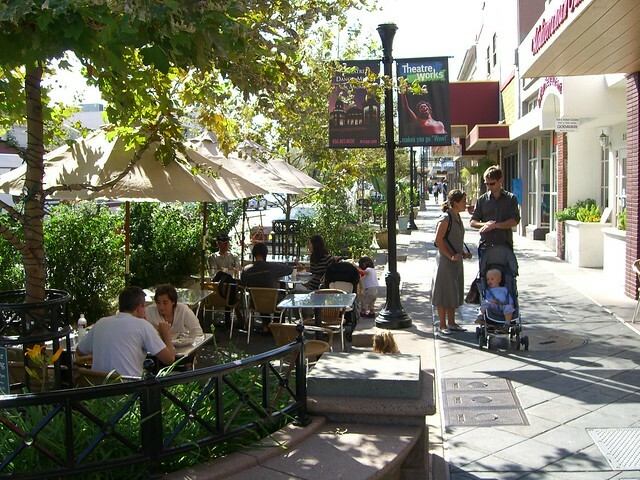 At Downtown Mountain View, there’s always something going on and there is always something for you to do. For those staying at hotels near downtown Mountain View, make sure to get down to downtown Mountain View! One of the things that is always happening downtown is the Farmer’s Market. Every Sunday from 9am – 1pm, walk down to the Farmer’s Market located on 600 W. Evelyn Avenue, between View and Hope Street. Get all your seasonal vegetables and fruits here! There is also a number of delicious restaurants with so much variety that there is always something for everyone. At downtown, you can choose classic American food, pizzerias, or delis for delicious sandwiches. If you are craving something else, there are a number of different cultural foods such as French, Indian, Mediterranean, Spanish, Italian, and Mexican. If you are craving Asian food, that’s not a problem as you can choose from Chinese, Japanese, Korean, Thai, and Vietnamese restaurants! And once you have finished eating, don’t forget to stop by one of the ice cream and dessert businesses in the area. Thinking about doing a little shopping? Great! You’ll find a wide variety of shopping at downtown Mountain View. Stop by one of the local bookstores and peruse through the shelves. Looking for some new accessories? Try one of jewelry stores. Or how about looking for a new wardrobe or shoes to go with those new pants you bought? There are boutiques and other stores all there for you! In addition to all these great businesses, you can also buy a new bike, pick up some flowers for your significant other at the florist, or go to the grocery store for all your culinary needs. Thinking about adding some new outdoor furniture or other accessories for your house? Visit one of the many home furnishing, home improvement, or design stores. Downtown Mountain View truly has it all! Previous PostStay with the Lady Antebellum: Take Me Downtown Tour!Next PostDiscover Fun Family-Friendly Things to Do in Mountain View!